[markup=]who told that rakhi is flap .RAKHI will break all the Records who doesnt break in 75years of telugu industry. [markup=]Hi NTR, congratulations for super hit of our film RAKHI. Congrats to all nandamuri fans. The movie is very good, NTR’s action is excellent with stunning performence. He should have tken care of his hair style & he should try to put off some weight. Congrats Krishnavamsi sir for your block buster. Friends those who have not yet seen the movies, plz make time to watch the movie, i am sure RAKHI won’t disappoint you. [markup=]Thanks for k.v to pull an extordinary action from young nandamuri tiger. once again nandamuri lion is roaring.jr.ntr come back into action with a spectacular box office bonanza.no doubt about it.this is a superduper hit. [markup=]this movie is what the fans expected.not a mass masala,but the one which strikes chord with general audience. we got a much awaiting hit i.e, raakhi . With this our NTR prooved even he can deliver hit with out exaggerated dialogues and action . we are with u , go a headd…………………..
[markup=]rakhi rakhi rakhi rakhi rakhi rakhi …..this is what i listened after coming from theater and all people who saw the movie is very happy .and in hall it was filled with flowers. i am ver very very happy to tell our film is a block buster movei and will break all the records . no one even those fellows wont dare to tell that movie is bad if they really watch the movie. 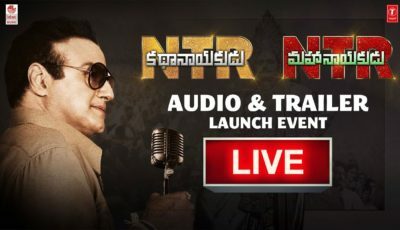 congrats to ntr and all nandamuri fans. [markup=]HIT HIT HIT HIT ……………………………………………………………. …………. . . .Now Tiger Roring(NTR)………………………………………. 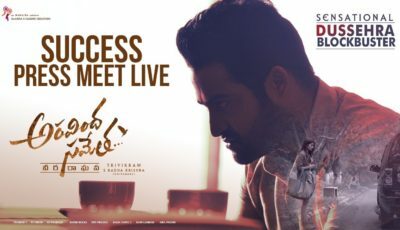 [markup=]RAKHI MOVIE IS SUPER DUPER BUMPER HIT.NO DOUBT.ALL NTR FANS SEE AND ENJOY THE MOVIE.MOVIE IS VERY VERY VERY GOOD.SENSATIONAL HIT. [markup=]i wish all the best to ntr,i become big hit to ntr.